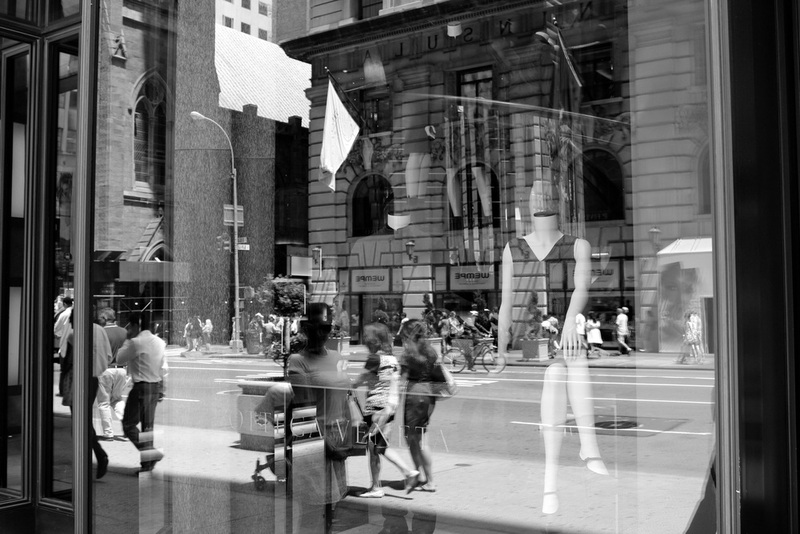 511 Gallery is pleased to present The Last Picture Show: Photographs by Robert Miller, twelve black and white images of New York street scenes that picture the actions and movements of New Yorkers and visitors as they configure themselves in the architectural context of the city. A policewoman remonstrating with a taxi driver or jaywalker up against the landscape of Louis Vuitton's Fifth Avenue corner store shrouded in the Pop dots of the artist Yayoi Kusama; a woman and her son crossing the street, hands joined, their arms laden with shopping bags; a young man in black with perfectly combed, slick-backed hair, stares at his hands while having his shoes shined in Grant Central Station. These are moments, viewed by the artist and captured/created by the camera, but like the best of the genre that is street photography, they are also the beginnings or middles or perhaps ends of longer and larger stories. 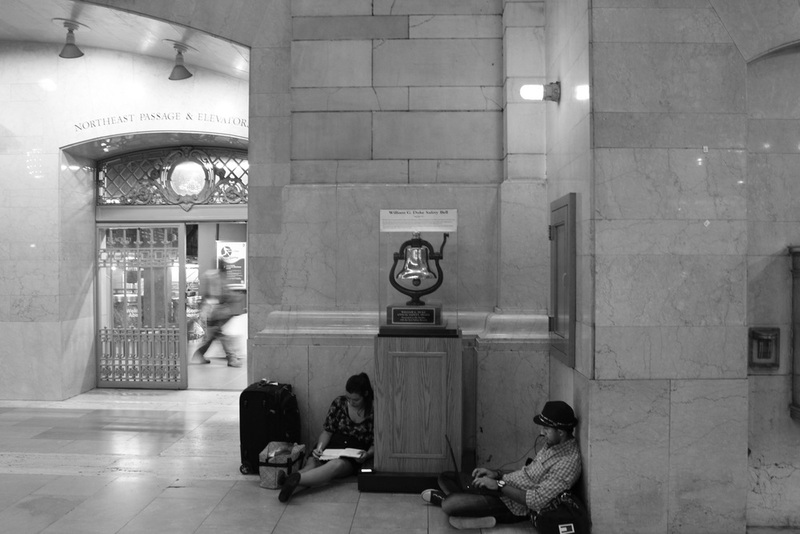 The viewer will never know, will have to make them up for himself or herself; and the photographer, being nearly an anonymous and, certainly, random observer, tells not the stories of the people in his scenes but rather the story of New York street life itself. Street photography in The Last Picture Show is of the moment, descriptions of real and specific places (Park Avenue at lunchtime) but also simultaneously of a larger, generic place (New York, a city, the urban American setting). 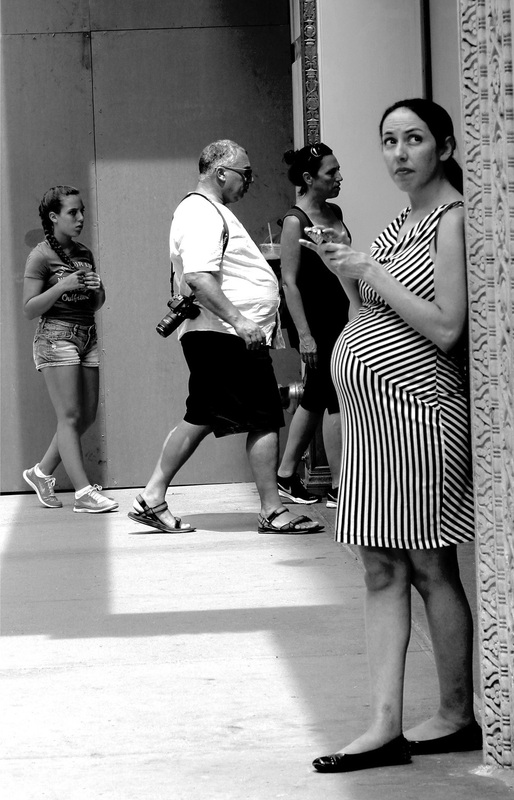 Miller's unobtrusive, unselfconscious, and democratic perspective places him among the small band of photographers - Eugène Atget, Robert Frank, and William Klein chief among them -- who historically have taken pictures, in black and white, of the information without narrative that is everyday life. The black and whiteness feels essential to the mood and the quality of timelessness. Though we humans see in color, we are capable of often seeing more clearly in black and white. 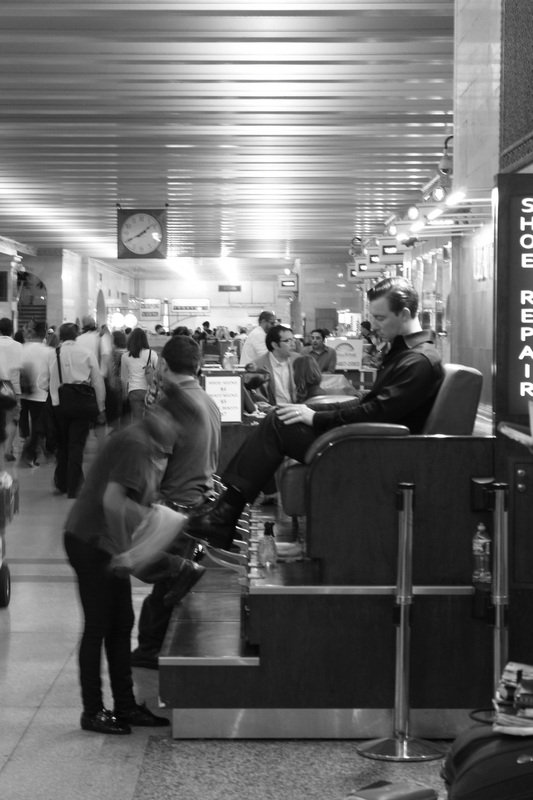 Shoeshine, for instance, seems as if it could have been shot in 1945, or 1965, or 2005, or yesterday. The image hovers above time and even place, much as Bogdanovich's film, The Last Picture Show, of 1971, rises above a specific year and specific town in Texas. Robert Miller grew up in New York City, works there now in the financial industry, has been a student of intuitive photography and continues to look at places by looking into the camera. This is the first solo exhibition of his work in New York City.